(2004). Immobilization of Rhizomucor miehei Lipase on High Density Polyethylene. Iranian Journal of Chemical Engineering(IJChE), 1(2), 29-37.
. "Immobilization of Rhizomucor miehei Lipase on High Density Polyethylene". 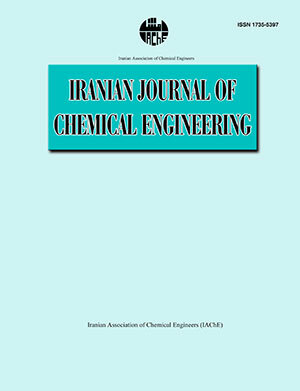 Iranian Journal of Chemical Engineering(IJChE), 1, 2, 2004, 29-37. (2004). 'Immobilization of Rhizomucor miehei Lipase on High Density Polyethylene', Iranian Journal of Chemical Engineering(IJChE), 1(2), pp. 29-37. Immobilization of Rhizomucor miehei Lipase on High Density Polyethylene. Iranian Journal of Chemical Engineering(IJChE), 2004; 1(2): 29-37. Immobilization of Lipase produced from Rhizomucor miehei on HDPE fine powder was investigated. As compared to an aqueous system, immobilization in a non-aquous organic medium such as n-hexane was not successful and caused enzyme denaturation. Prewetting the support with ethanol increased the immobilized protein and enzyme activity as much as 31% and 34%, respectively. The maximum immobilized activity was obtained at the isoelectric pH of 4-5. The enzyme was suspected to have competition and/or interaction with other protein entities on the surface. Immobilization of the enzyme onto the support seems to be via shear sensitive weak physical adsorption. Proper duration of mixing was found to be around 6 minutes. Longer periods of shaking led to enzyme desorption, thereby reducing the immobilized activity. Neither efficiency nor stability was improved using glutaraldehyde as a cross-linking agent despite the fact that in some occasions, protein loading of the support was improved. This suggests the possible effect of glutaraldehyde on enzyme denaturation in these conditions. At optimum conditions, immobilized enzyme activity was enhanced almost 6-folds increasing from 8 units (per 0.5 ml of the enzyme liquor) to about 45.8 units (when 0.5 ml was immobilized on one gram of support).